Every steps is very important! Pluckers only select tender leaves or shoots which are 2 leaves and a bud or three leaves and a bud. 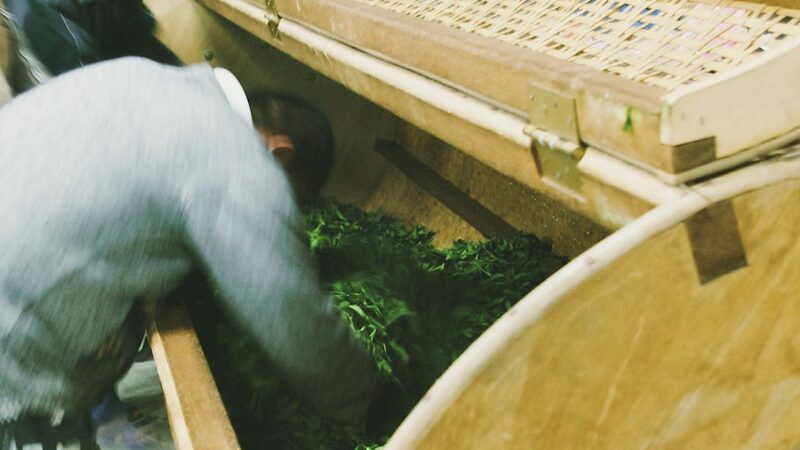 When plucking, pluckers can’t injure the blade and they must keep the integrity of these fresh leaves or shoots because it influences the quality of the tea making process. The leaves are spread outdoor and the evaporation process is accelerated by the heat energy of sunshine. The leaves ferment along with the oxidation. The light green leaves gradually turn into dark after the withering process and they begin softening after the evaporation of water. The withered leaves are moved indoor. 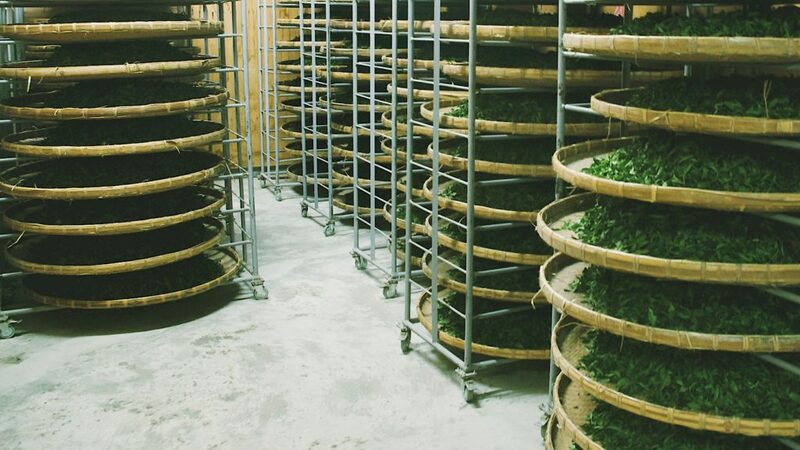 Keep them strewing and make the water in the leaves slowly disappear, with stirring them to adjustthe degree of fermentation and then it will release the specific flavor and taste of high mountain Oolong tea. Using the wave machines to stir the leaves evenly. Fermentation is the oxidation process when the water and ingredients in the leaves are exposed in the air. Spread the leaves evenly in the container, and make it ferment. Fry the fermented leaves under 330℃ which can destroy the enzyme activity to stop fermentation. 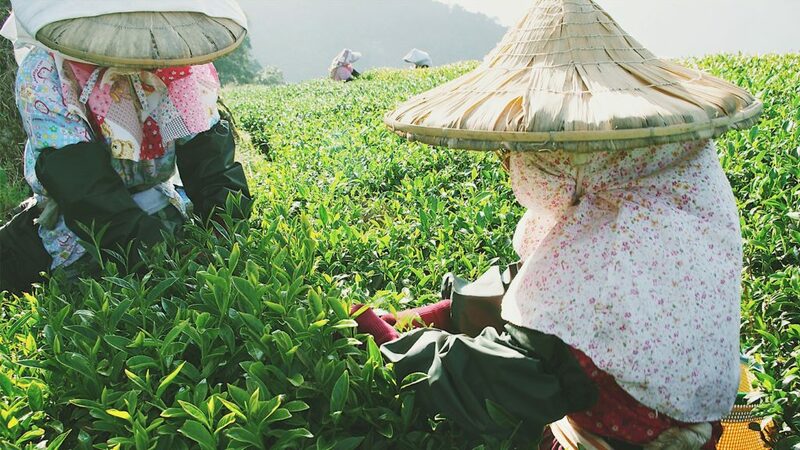 After frying, the astringency of tea disappear which makes the flavor, taste and the color of water remain stable. Make water in the leaves or stems moderately evaporate and soften the stems. Then put the tea leaves into a rolling machine. 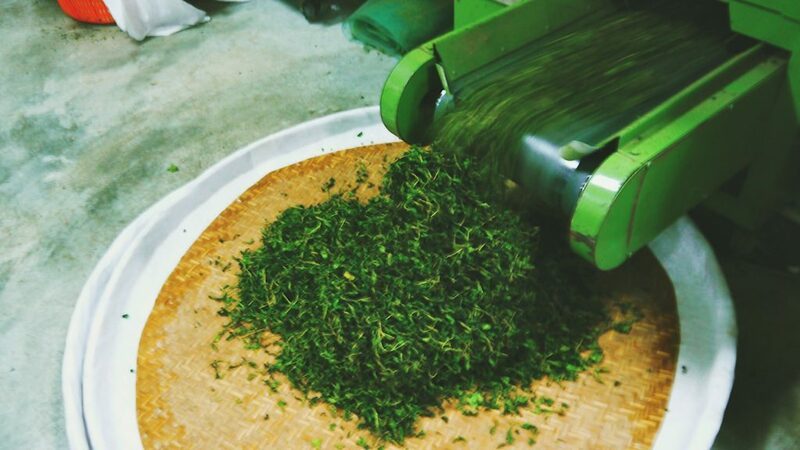 With the power of rolling friction to make tea leaves rotate, it leads to partial tissue damage. The leaf sap seeps out because of the rolling pressure,making the sap adhere to tea leaves surface. 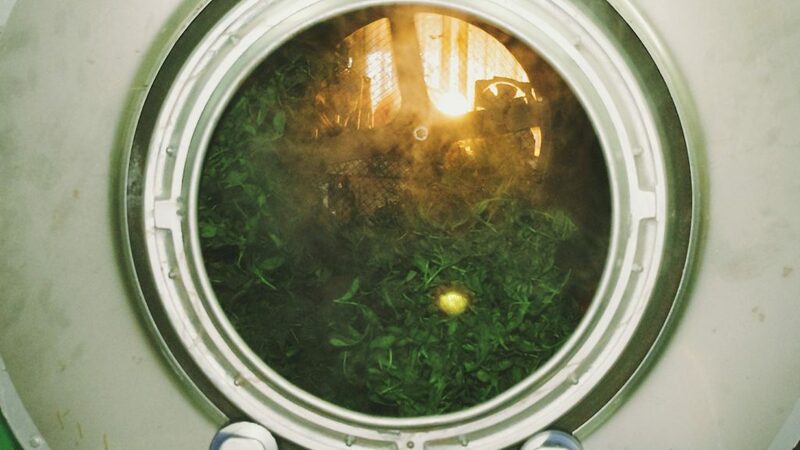 After drying and solidifying, tea leaves can be quickly dissolved in hot water, with mellow taste when brewing it up. 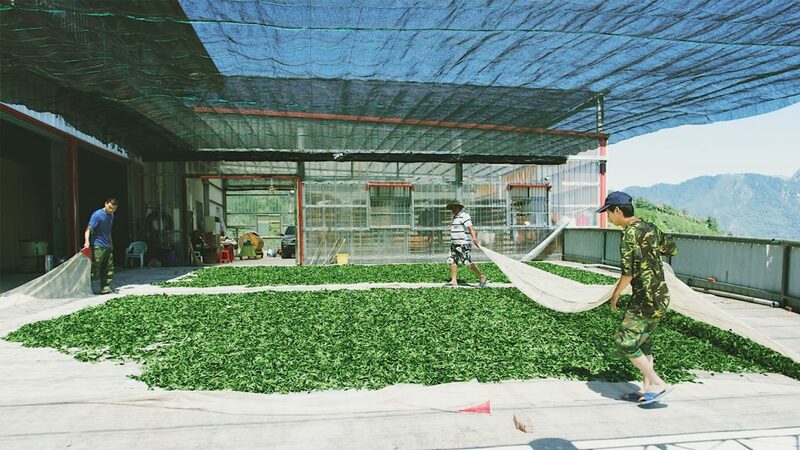 Dry the rolled tea leaves first time with a drieruntil the surface of leaves is waterless, soft and flexible. 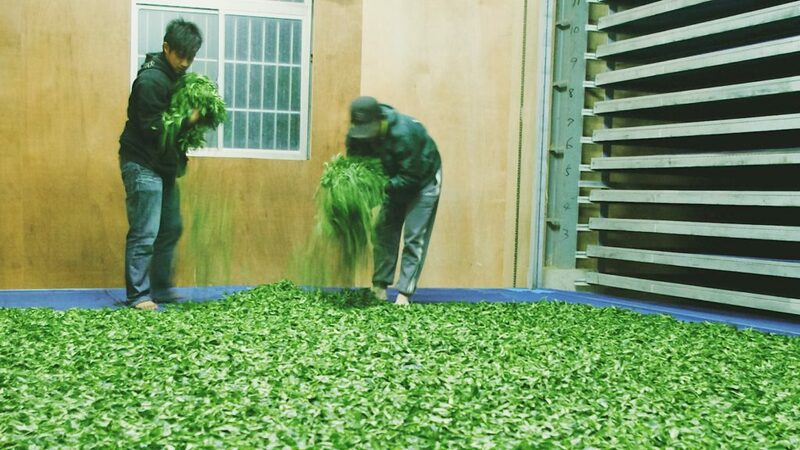 It is near dawn after tea leaves are processed and manufactured.Spread the tea leaves evenly to a leaf container without wind. Rub the leaves with cloth again the next day . 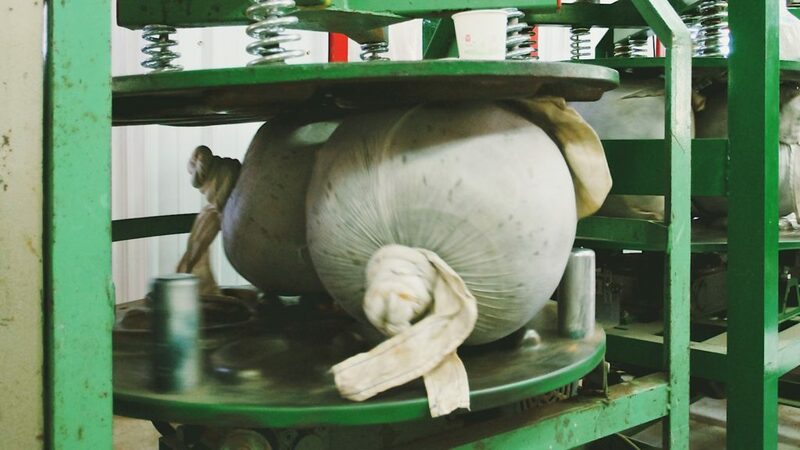 Wrap the tea leaves with cloth in the shape of sphere,rub and press the cloth bag back and forth by hand and machine. Loosen the cloth bag timely and shape the leaves in sphericity. 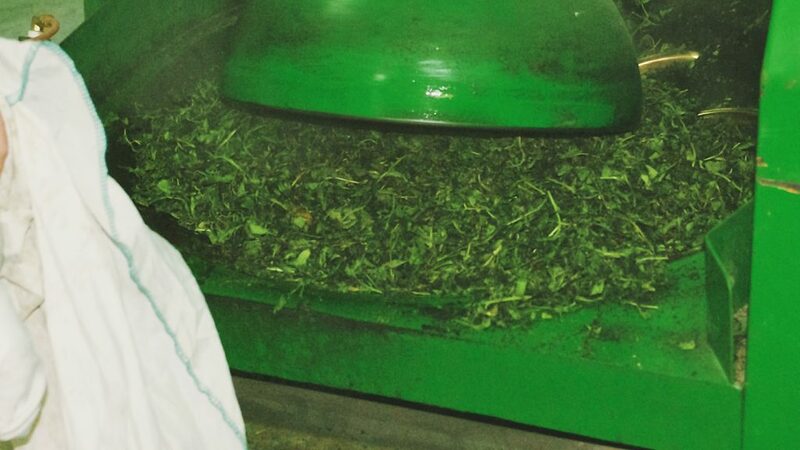 The cloth should be spread out several times in this process, breaking up tea leaves with a blender to cool leaves. The more times of reheating and re-rubbing, the firmer the tea leaves are. It needs to repeat at least 70 times to make tea leaves firm enough. 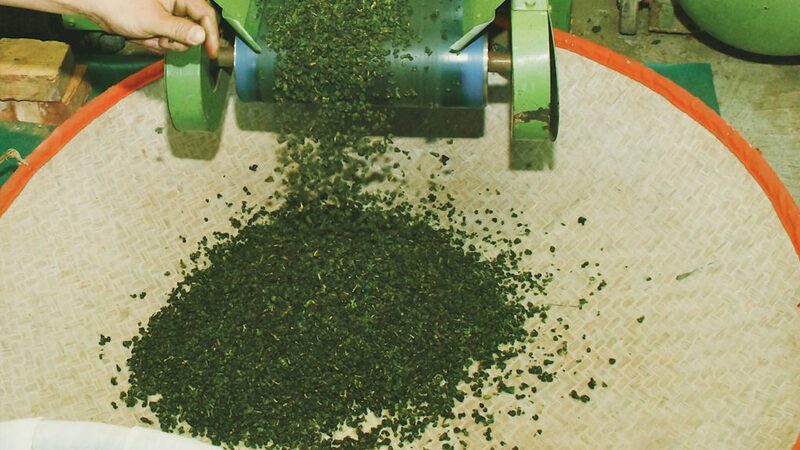 Tea leaves would lump after rolling process. 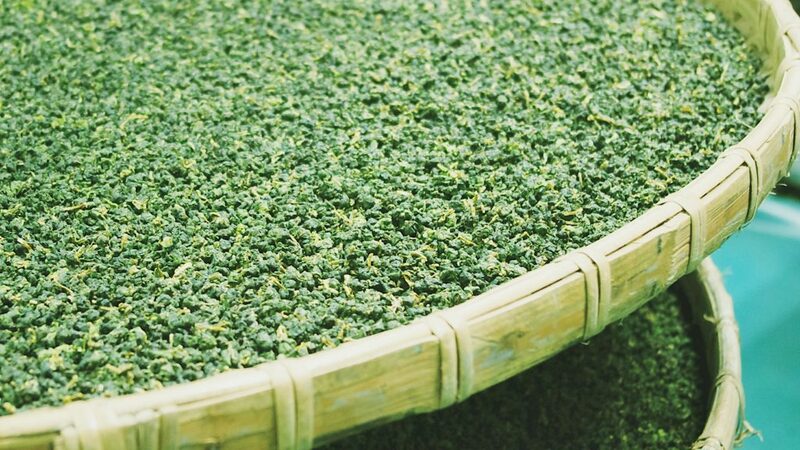 It needs to be scattered by a blender to make tea leaves pellet uniform, beautiful and in a firm shape. Disperse part of the water vapor and heat, so that the tea leaves will not turn red. 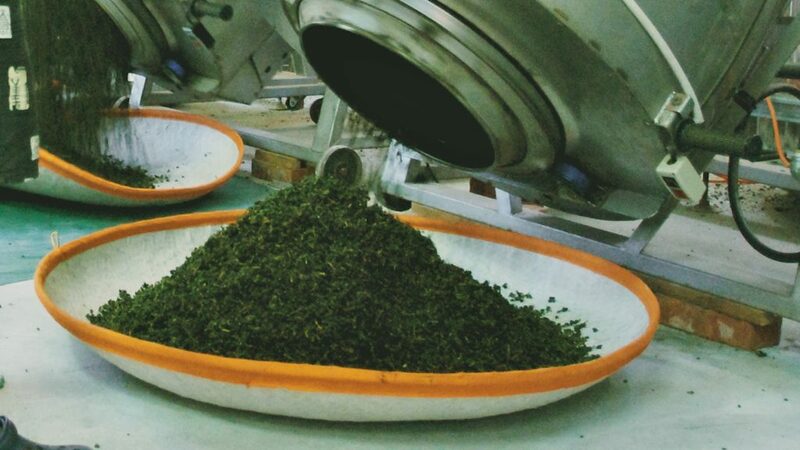 Dry tea leaves with high temperature to control the moisture to be less than 4% in tea leaves, to stabilize its aroma and taste, and to reduce the astringent taste. As a result, this can enhance the quality of tea. This step consists of three to four times of drying, and the dried tea is called Maocha(Raw tea). Cool the tea leaves until packaging.